Our series on Conservative Christians continues with a short oped posted about five months ago from Joyce Karam at Alarabiya.net, "Muslim Americans More Popular Than The Tea Party," where we find out that "Muslims are in fact more popular and viewed more favorably by Americans than the far right movement." "Tea Party favorites Rand Paul, Ted Cruz, Sarah Palin and Larry Klayman spent most of last week bashing Muslims and introducing the 'Quran' and 'Allah' to the shutdown and debt ceiling debate that they are losing in Congress. "Unfortunately for them, Muslims are in fact more popular and viewed more favorably by Americans than the far right movement. "Having failed at governance and the basic task of securing an operational government, the Tea Party leaders had to retreat to ugly screams of Islamophobia in order to distract attention from their downfall and to drum up support with fear tactics. Larry Klayman, a clownish figure who started the Tea Party group Freedom Watch, brought a whole new dimension to the budget and debt ceiling debate last weekend, claiming that the U.S. is 'ruled by a president who bows down to Allah' and who needs to 'put the Quran down.' Klayman is not alone, 17 percent of Americans -mostly his constituency, according to a Pew poll - believe that U.S. President Barack Obama is a Muslim. "Klayman was speaking at the World War II memorial, a site that bears the names of American soldiers who lost their lives during the war. Those names include Muslims and Christians and Jews, who, unlike Tea Party zealots, thrived and fought the fascists and the Nazis for a pluralistic society, and on behalf of a country that espouses one vision for all its inhabitants. "Islamophobia is a strategic distraction stemming from the legislative blunders that the Tea Party movement is facing in Washington." - Joyce Karam. "The same Islamophobia was demonstrated a few days before at the Values Voters Summit where rising Republican Senator Rand Paul spoke of a 'worldwide war on Christianity' from 'Boston to Zanzibar,' declaring that the terror act in Boston 'was against us as a people, a Christian people.' The senator obviously missed the fact that some of the 144 injured in the bombing were Muslims, including a Saudi student, and the dead suspect, Tamerlan Tsarnaev, was denounced by the Muslim community and denied burial by a Boston mosque. "Islamophobia is a strategic distraction stemming from the legislative blunders that the Tea Party movement is facing in Washington. Their positions are out of touch with mainstream Americans and the vast majority of the electorate who are looking for economic recovery and not bankrupting the country. 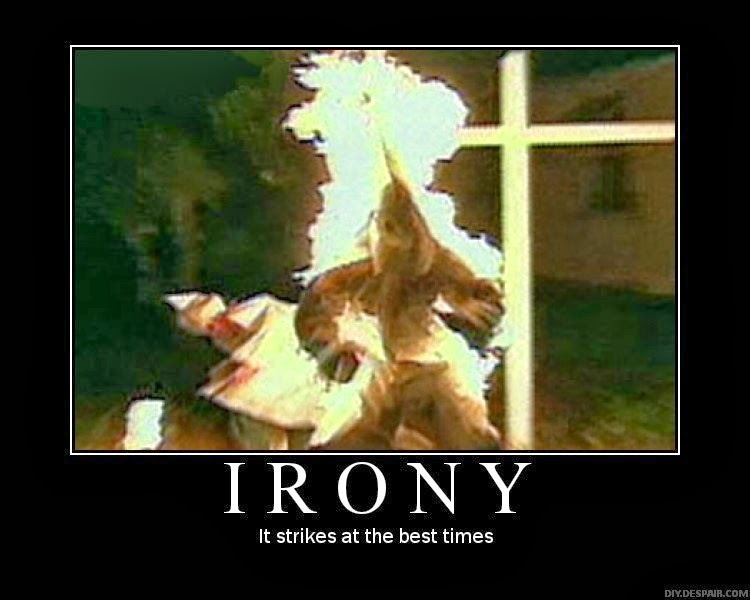 This trajectory has made the Tea Party even less popular than Islam in the view of most Americans. "According to a Wall Street Journal-NBC poll released on Friday, the popularity of the Tea Party has hit its lowest since 2010, with a favorability of 21 percent among Americans. No party in American politics has been that unpopular since 1992, and on a scale close to that of the Congress. Such numbers would make the Tea Party even less popular than colonoscopies and root canals (PPP poll). "Don’t get me wrong, Muslims’ and Arab Americans’ popularity is not skyrocketing by any means, but they are viewed more favorably than the Tea Party. 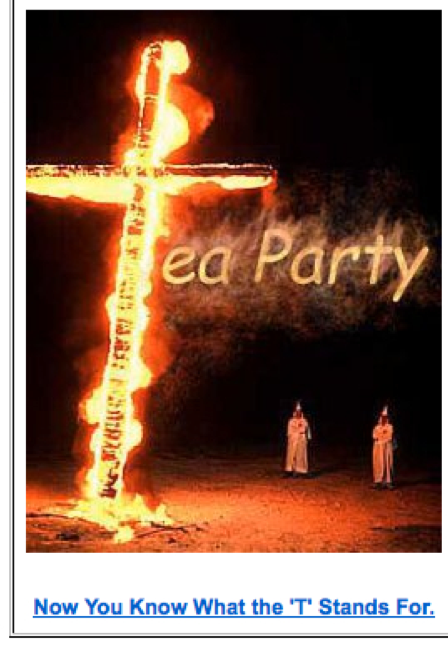 A Zogby poll in August of 2012 puts favorability of Muslims at 40 percent, almost double that of the Tea Party. * A Pew Poll right after the Boston bombing last May reveals that 46 percent of Americans don’t think that Islam encourages violence, while 42 percent think it does. 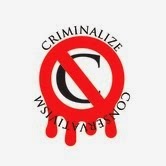 The same poll finds that nearly two-thirds of U.S. Muslims, 63 percent, say there is no inherent contradiction between being devout and living in a modern society such as the U.S., and only 1 percent find that violence against the innocent is justifiable. "These numbers should be an eye-opener for Tea Party leaders, whose movement today is more isolated and detached from the American political mainstream than any time before. Spreading falsehoods about Muslims or claiming that Obama is one will not help in cutting the deficit or balancing the budget or reforming healthcare. 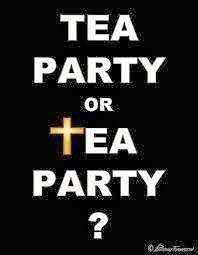 If anything, the Tea Party should look closer at the record of the Founding fathers that it claims to represent. They would find in Thomas Jefferson’s Quran a true symbol of what America is: An exceptional experiment in pluralism and tolerance." 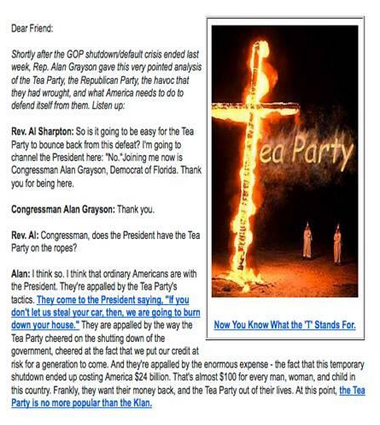 And check out the story from another article posted around the same time as Ms. Karam's piece: "Congressman Alan Grayson recently said in an interview with Rev. 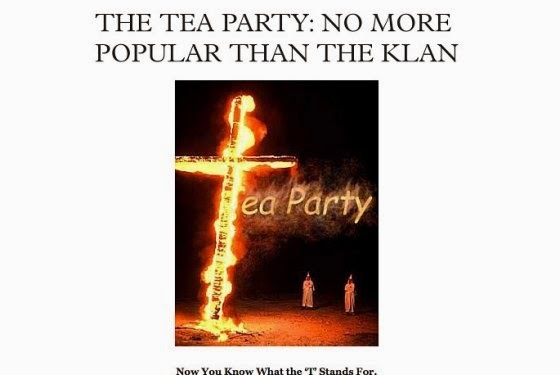 Al Sharpton, 'tells us that the tea party is no more popular than the Klan.'" 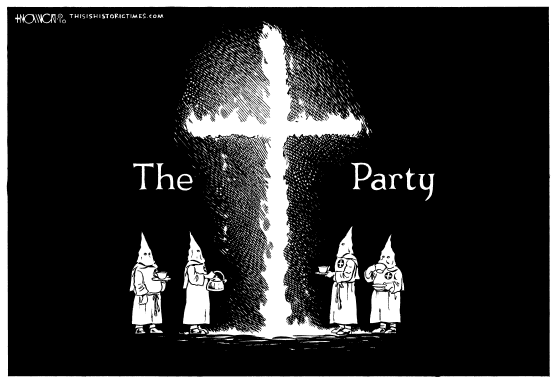 Just as Dr. Frankenstein finally came to realize that the "thing" he created was a monster, the only other group who dislikes the Tea Baggers more than the American voters is the criminal cartel called the Republican Party, the creators of the neo-KKK movement called the Tea "Party."